Generally we follow Rule 7 above and move in a direction not to a destination. After leaving the Wisconsin, we were moving in the direction of Cody. Or it might be Cody was a destination. We had been there before, and we wanted to see it again. 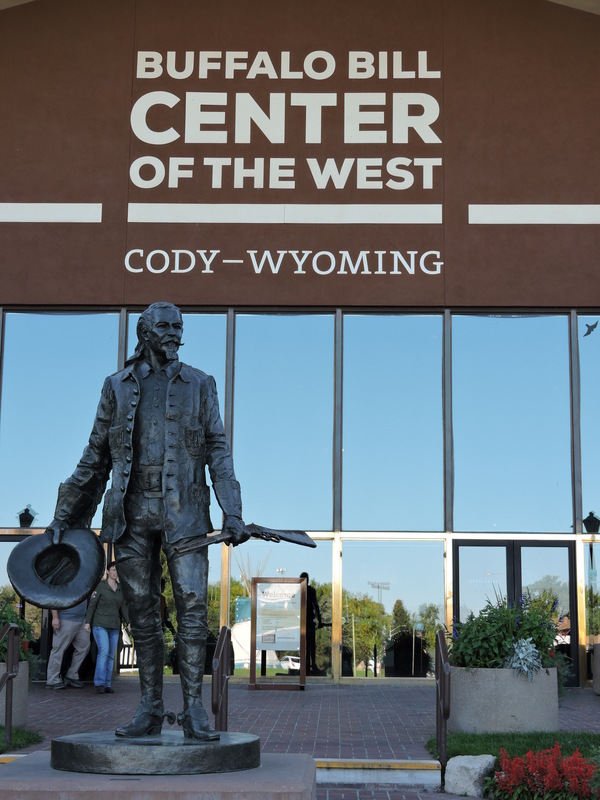 There is much to do and see in Cody, but we specifically wanted to visit the Buffalo Bill Center of the West. Cody was founded by Buffalo Bill Cody. Gertrude Vanderbilt Whitney sculpted a statute of him called The Scout in 1924 paying for the entire project herself. But she wasn’t pleased with two proposed locations, so she bought forty acres on the western side of the town. Those forty acres now encompass both the statue and the modern seven-acre building that houses the Center. 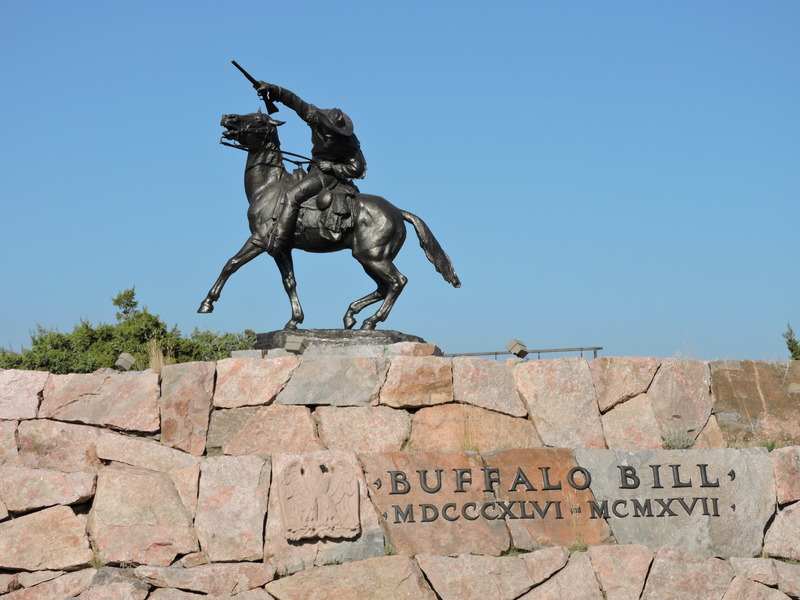 The original Buffalo Bill Museum was a 50 x 70 log building near the statue dedicated in 1927. In 1955, Gertrude’s son “Sonny” donated a quarter of a million dollars to build a new building, the Buffalo Bill Historical Center. The new Center had five sections when we first saw it: the Buffalo Bill Museum; the Whitney Gallery of Western Art  now the Whitney Western Art Museum; the Plains Indian Museum , the Winchester Arms Museum, now the Cody Firearms Museum [1976, re-dedicated in 1991]; and the McCracken Research Library . The Draper Museum of Natural History opened in 2002. We chose to visit just two sections. This week, my pictures are from the Whitney Gallery of Western Art. Next week, I will talk a little about the amazing and complicated life of Buffalo Bill. Click on photos to enlarge. Use the back arrow to return to the post. This entry was posted in Travel Logs and tagged Buffalo Bill Center of the West, Buffalo Bill Cody, Buffalo Bill Museum, Cody Firearms Museum, Cody Wyoming, Draper Natural History Museum, McCracken Research Library, Plains Indian Museum, Travel, Whitney Western Art Museum, Wyoming. Bookmark the permalink. Some terrific art here, especially among the sculpture – amazing movement and energy in the piece by Russell, and I love “Pasqualita” – superb characterisation and empathy. It is a wonderful gallery often overlooked. I was very hard to decide which items to include in the post. In the 60’s, my boss had a Russell painting above his desk, and I have been a fan ever since. He wasn’t as famous as Remington, but he was a real Westerner and his work reflects his own experiences. I very much like the contemporary art pieces that you are showing us!